Have you ever wondered the difference between preventive dentistry, restorative dentistry, general dentistry, and cosmetic dentistry? Some of the treatments are the same but they are performed for different reasons, and some of the treatments are different. For instance, preventive dentistry helps “prevent” cavities and other dental health issues from developing. Cosmetic dentistry is all about making your smile more esthetic. But, what is restorative dentistry? Take the true or false quiz below to find out. True or False: Restorative dentistry “restores” damage done to teeth due to decay, accident, or simply aging. 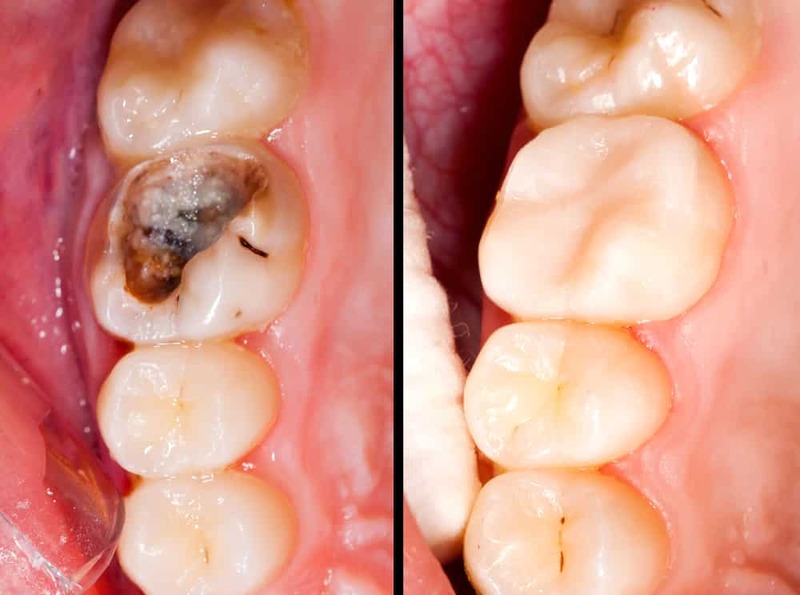 True or False: Professional dental cleanings are considered restorative dentistry. True or False: Cosmetic bonding is a cosmetic treatment not a restorative treatment. True or False: Dental implants are a restorative procedure. True or False: Teeth whitening is a restorative procedure because it “restores” your teeth back to their original color. True: Any dental treatment that is used to “restore” the tooth is a restorative treatment. For instance, crowns, fillings, and root canals are examples of restorative treatments. False: Dental cleanings are considered preventive dentistry because they are performed to prevent plaque from decaying your teeth or turning into tartar and causing gingivitis or periodontitis. False: Cosmetic dental bonding can be used as a cosmetic procedure to whiten teeth, fill in gaps and pits, or lengthen worn teeth, but it can also be used to “restore” broken, chipped, or fractured teeth, and the same composite resin material used for dental bonding is also used for inlays, onlays, and fillings, all restorative procedures. True: Dental implants are a complex, surgical procedure done to replace missing teeth and restore your chewing function. False: Teeth whitening is considered a cosmetic treatment because it is not required to restore the function of your teeth.